We’ve moved to own domain name – bengalicuisine.net. You can follow me on Twitter, visit my Flickr photostream. Each day of the year flies off so fast that its hard to believe that we have crossed 365 days and even more on leap years between to New Year celebrations. The winter sets in with loads of happiness. Christmas and New Year rings the bells for enjoyment and merriment. It is the time of harvest in India. US celebrate it as Thanks Giving, but that is couple of months before hat in India. 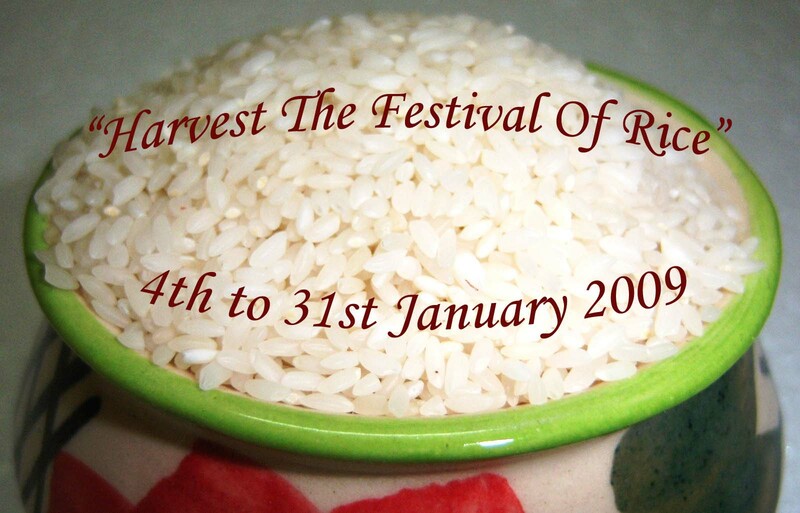 In India the harvesting festival is celebrated with much glory. It is called by different names in all over India – Nabanno, Makar Shankranti, Pongal are just a few to mention. While most of the Hindu festivals are followed according to the lunar calendar, the Sankranti festival is celebrated in accordance with the solar calendar, and so the date never changes from the English date of 14th January. It is the day when the Hindus believe that the Sun god begins ascending to the Northern Hemisphere. The Puranas say that this is the day when the Sun-God visits the house of his son Shani, though the son and father do not get along nicely. So this is day has an important significance of father son relationship. It is also said that this the day when Lord Vishnu ended the terrorism of the Asuras and buried their heads under the Mandar Parvat. So this day also stands for the end of evil and begins an era of righteousness. In Uttar Pradesh this day is called “Khichdi”. Taking a dip in the Ganges is thought to be auspicious on this day. The Magh Mela is celebrated during this time of the year in Prayag, better known as Allahabad. In Maharashtra and Gujarat it is celebrated as Sankranti. Sweets made of sesame seeds and jaggery are distributed among families. Married women are invited to their relatives’ houses and are offered utensils. Especially in Gujarat kite flying is a marked for this day. Lahari is celebrated in Punjab where families gather around a bonfire and throw in sweets, sugarcane and rice. The next day of Lahari is Maghi. This day is marked with the famous Bhangra dance in Punjab. Bihu festival of Assam is celebrated on this very day. Bengal sees a huge swarming of devotees from all over India and also abroad to take a holy dip at Sagar Islands, where the Ganges meets the Bay of Bengal. Andhra Pradesh celebrates it as a four day festival. The Telugus call it the Pedda Panduga, naming each day as Bhogi, Sankranti, Kanuma and Mukkanuma respectively. As mentioned above, almost every state of India has its own way of celebrating this festival. It is the day of celebration and bringing home the newly cut harvest from the fields. Every year my mom prepares different kinds of sweets all made of rice or rice flour. So this time I thought of celebrating it in my way, with you all. Prepare anything where the main ingredient is either rice or rice flour. The preparation can be vegan or non-vegitarian, depending upon your choice. You can also take some idea from the following recipes. Send in your entries to bengalicuisine@gmail.com with the Subject as “Harvest: The Festival of Rice”, with the following details. The last day for receiving all entries is 31st January 2009. No late entries will be entertained. I’ll post the round up on 2nd February. Feel free to use the event logo, and put a link on your blog for this event. If you want to send any old posts then please update it with the event logo and a link back to this announcement. Those of you who don’t have a blog, send in your recipe along with a photo of the dish to the above mentioned e-mail id. It would be nice of you if you can also add your memories related to this time of the year, also post photos if you have decorated your house for the event. There is no limit to the number of entries you can send, so put on your aprons and start preparing.Happy Cooking and Happy Eating. This entry was posted on January 4, 2009 at 7:22 pm	and is filed under Breakfast, Desserts, Dinner, event, More to rice, Niramis(Vegetarian). Tagged: bhangra, bihu, event, kumbh mela, lahari, magh mela, maghi, pedda panduga, pongal, rice, rice flour, sankranti, shankranti. You can follow any responses to this entry through the RSS 2.0 feed. You can leave a response, or trackback from your own site. nice event…will send an entry surely.. I am sure you will be receiving a lot of entries esp. after Pongal!! Thanks for your responses, I would like to get lots of recipes for the event. It would be great to see how differently we celebrate the same day. No not atall.thanks for adding the recipe. Lovely event 🙂 Already sent u an entry. Great Event…I just sent my entries. Nice event.Have mailed you my entries. First time here. Nice event! Will surely send something in. All the best with the hosting. First time at your blog. Have sent u my entry. Will send more if possible. Best wishes for hosting such a nice event. Tahnks for sending your entry, and also for visiting. I hope you’ll come back to my blog soon. Thanks a lot for partcipating. Frankly speaking, I could live on rice + yogurt, so I would love to participate.. I will send in a joint entry with another event. thank you so much for visiting. Will be expecting your entry. jus a day back only noticed yr blog and event. sent one of my recipe to u with a query. have u got my entry dear. my archived also on the way.